The aim of the Keith Roget Memorial National Parks Award (KRMNPA) is to encourage portable operation in Victoria's 45 National Parks. The Award commenced in 1967 and was known at that time as the Victorian National Parks Award. It was issued by the then Victorian Division of the Wireless Institute of Australia (WIA) as a way of promoting mobile and portable operation. At that time there were only 20 National Parks declared. 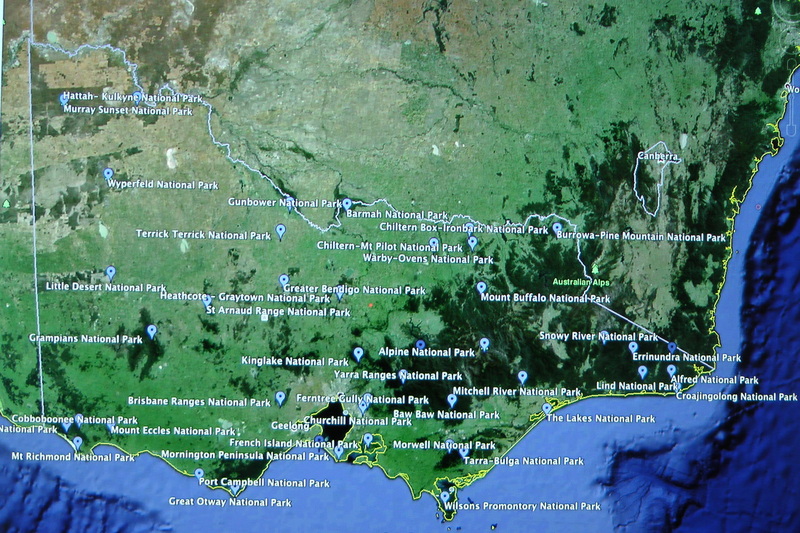 Today, there is a total of 45 different Victorian National Parks. The first Victorian National Parks Award was issued in 1968 to Harold Hepburn VK3AFQ. The certificate featured a map of Victoria and listed the 20 Victorian National Parks, many of which have since had name changes. By March 1971 a total of 15 certificates had been issued. A new certificate based on a colour photograph of Cape Nelson was developed and replaced the original design. The award subsequently became known as the Keith Roget Memorial National Parks Award (KRMNPA). A driving force behind the parks award was the late Keith Vidmore Roget, VK3YQ, who had served on the WIA Victorian Division Council as the President, Secretary and Treasurer. Roget died in 1981 and following his death his widow Jean agreed that it was fitting that the parks award be renamed in his memory and to honour his contribution. The award is made available by Amateur Radio Victoria. Tony VK3XV (formerly VK3VTH) is the Manager of this award. Peter VK3ZPF is the only amateur to have worked from all 45 Victorian National Parks. The purpose of this group is to promote the Keith Roget Memorial National Parks Award. The aim of the award is for Amateur Radio operators to make contacts to and from Victoria's National Parks. More information on the Award can be found on the Amateur Radio Victoria website. If you have Google Earth loaded on your computer, please click on the following kml file to view all Victorian National Parks. Further information on Victoria's National Parks can be found on the Parks Victoria website.